As an outsider looking in, the escalating legal feud between Apple and Qualcomm appears on course to damage the two companies’ relationship beyond repair. Qualcomm CEO Steve Mollenkopf has a different view, however. Mollenkopf recently said he believes Apple will eventually become a Qualcomm customer again. “I always believe that if you have leadership technology that your roadmap will eventually dominate the business relationship between companies. I think there’s no reason why that shouldn’t be the case here,” Mollenkopf told Bloomberg‘s Emily Chang in an on-screen interview in which he was asked about the ongoing patent case between his company and Apple. When Chang described Qualcomm and Apple’s falling out as bitter, Mollenkopf disagreed and said the dispute is not that different from other IP cases Qualcomm has been involved in in the past. “Bitter is maybe the wrong term. We’ve had disputes with licensees in the past as well over the price of IP. It’s not different. It’s just bigger companies,” said Mollenkopf. It should be noted Apple is still technically a Qualcomm customer. Older iPhones models, specifically those sold to Verizon and Sprint, still feature Qualcomm modems, since older generations of Intel modems do not support the CDMA standard. 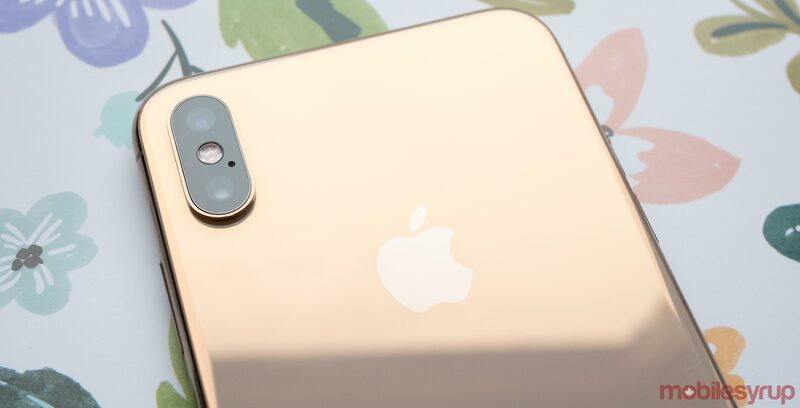 It’s believed, however, that Apple’s latest trio of smartphones, the iPhone XS, iPhone XS Max and iPhone XR, exclusively feature Intel modems. We’ll have to continue to watch Qualcomm’s dispute with Apple to see whether it ends amicably as Mollenkopf says it might.